- The Bead mill is suitable for all kind of products from low to high viscous pump able products for fine grinding with media. - Small, Nimble and practical structure, ideal equipment for laboratory use. - Use transducer to control the rotation speed. - High efficiency, strong operability. - Grinding efficiency depends on the structure of dispersion disc. Compared with similar products, the structure of our dispersion disc is designed to contact more with zirconla beads, producing larger force and achieving better effect. Justifying our reputation in this market, we are readily immersed in the arena of offering Batch Type Sand Mill. Our range of Sand Mills is offered to our clients in two models that includes Horizontal and Vertical Mills. Our Horizontal and Vertical Sand mills are in great demand in the Industries. Our sand mills also help in wet grinding process. The comprehensive range of Sand Mill Machine offered by us is appreciated for fine milling and ensures that even distribution of solid particles. 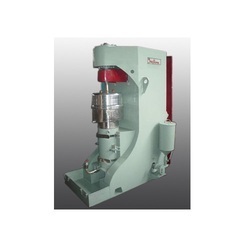 Specification :- Optional : Grinding media and pressurized mills Model : FG2, FG3, FG4, FG5, FG6 HP : 3, 10, 15, 20, 40 of Chamber Cap in Lts 8, 16, 32, 64, 120 Flow Rate/HR : 50, 75, 300, 500, 800 Flow rate stated above depends on various factors such as material to be processed, feed rate, viscosity etc. 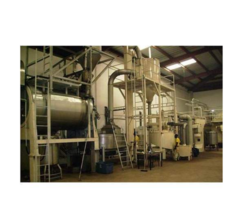 We are one the leading manufacturer and supplier of Lab Model Sand Mill .